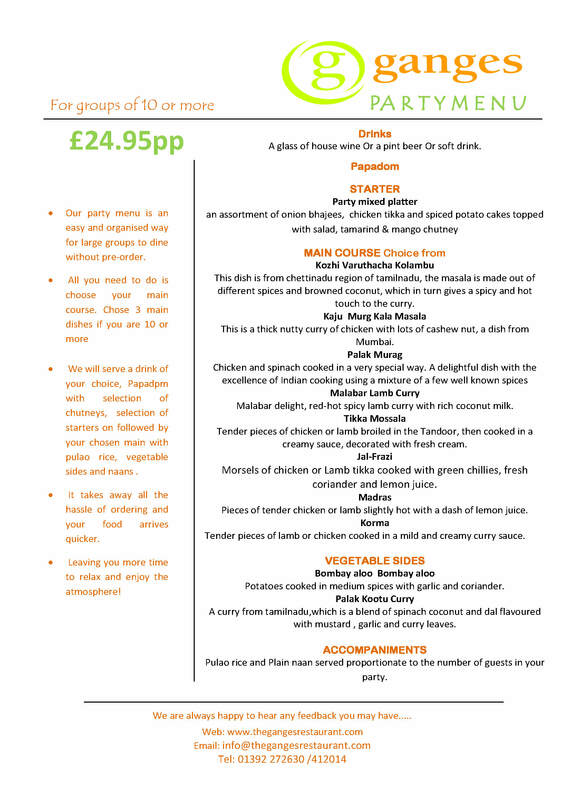 Enjoying Ganges Fine Dining with a group of friends is great fun and to make it easy for you to order, we’ve re-introduced our Set Party Menus. 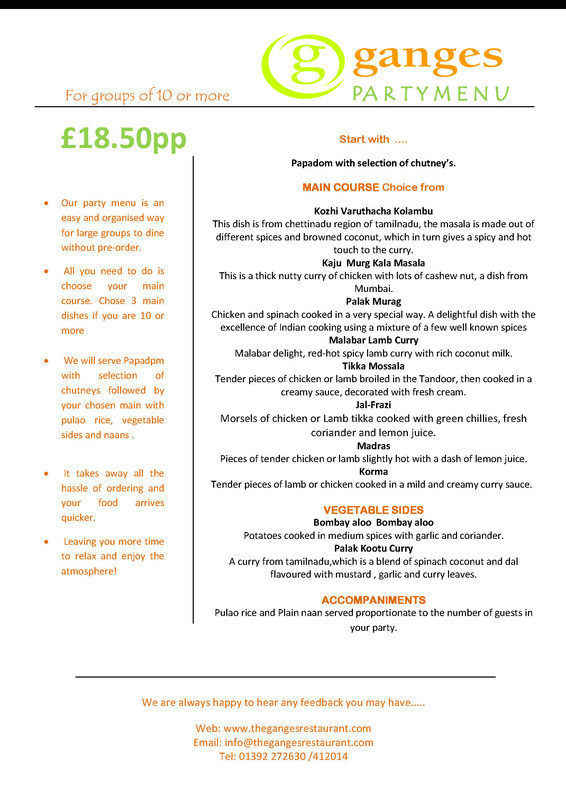 Choose from the three different menus and leave the rest to us. If your celebrating a Birthday or Special Event, talk to us about Cakes, Balloons, a Photographer. 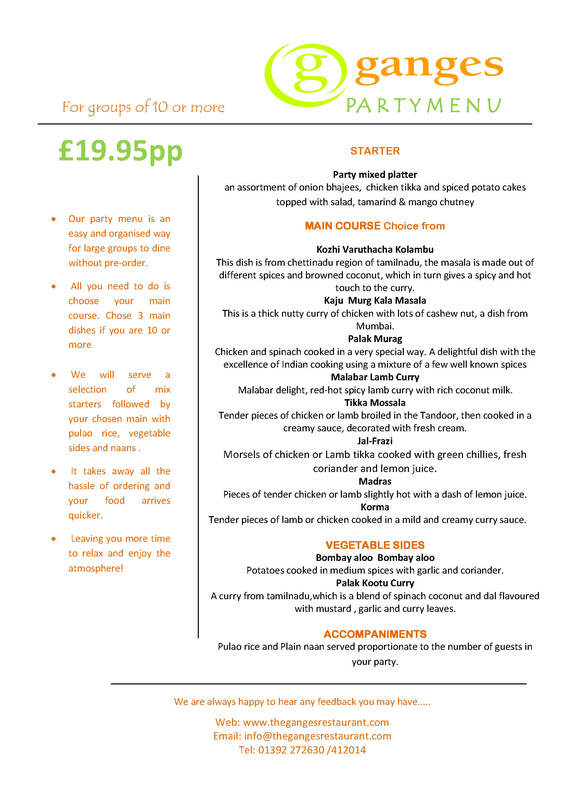 We love to make your group celebrations special.